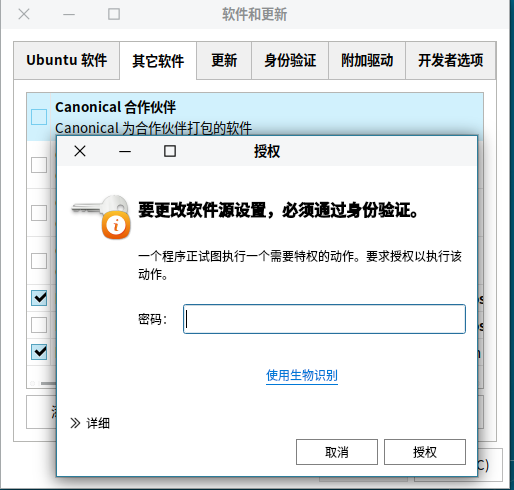 With the release of ubuntukylin18.10, we has brought you an exciting feature. We know that more and more computers now have the function of fingerprint unlocking, but our major Linux distributions do not support it. How can we tolerate such waste?The developers of ubuntukylin have quickly added this feature to 18.10. Let's take a look at it. First we need to enter our information through biometric management tools. Fingerprint collection needs to be repeatedly raised and pressed to ensure the integrity of the fingerprint. On windows, or on Android, ios phones, everyone usually uses fingerprint recognition to unlock the screen. 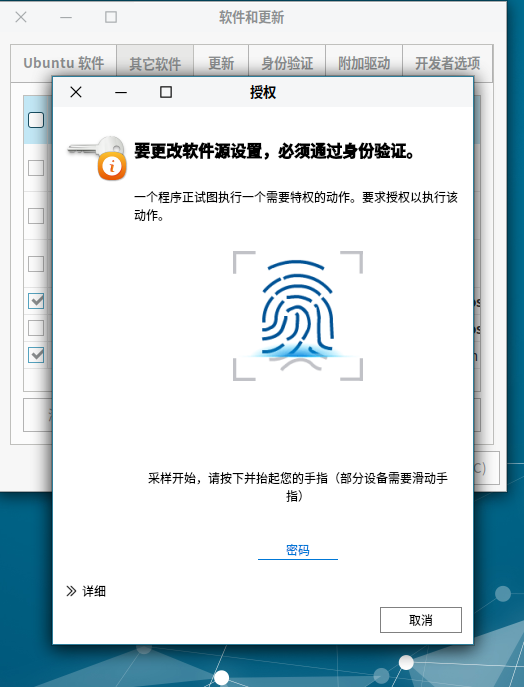 In ubuntukylin, in addition to unlocking the screen through fingerprints, you can also use fingerprint recognition to raise your rights! 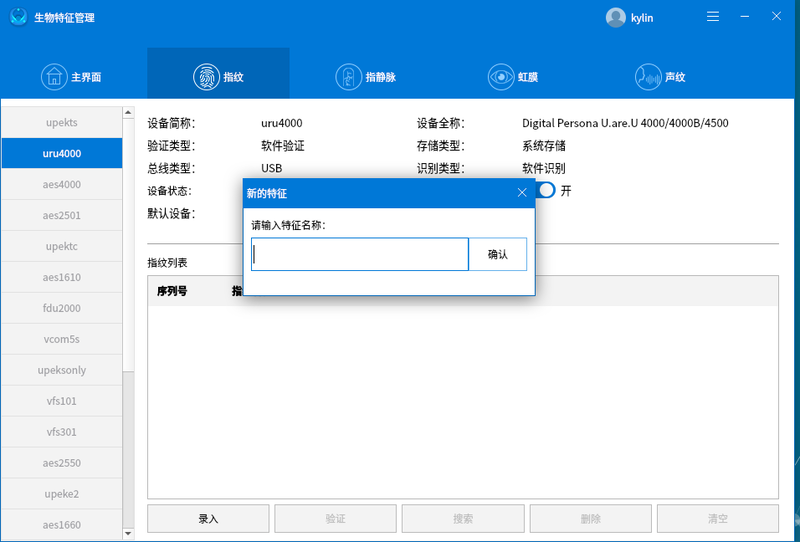 As we all know, in the Linux system, whenever we need to use the administrator rights, we always need to enter the password, which guarantees the security of the system, but it is also very troublesome, so our programmers have added a new choice to everyone. 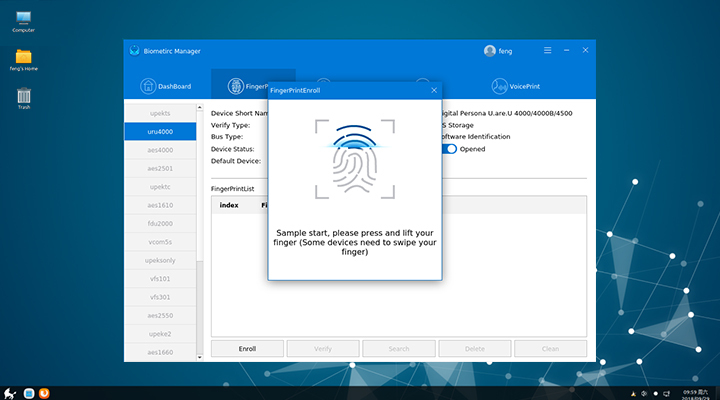 ,Fingerprint recognition. We can use the fingerprint to get administrator rights instead of entering a password.Is it very convenient? 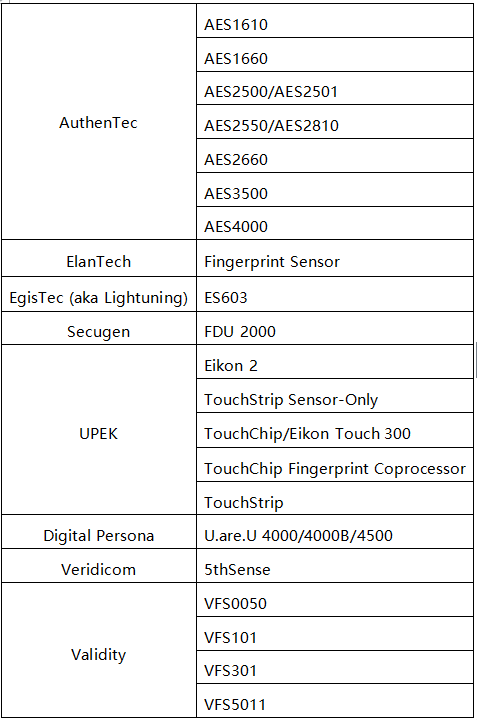 At present, fingerprint recognition supports 21 types of equipment from 8 manufacturers. Follow-up will include finger vein recognition, iris recognition, and voiceprint recognition. Don't know weather your device is in the devices list? Don't know your device model? 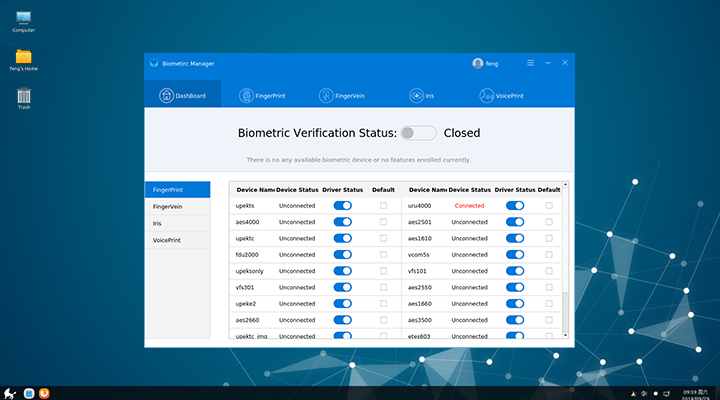 Don't be worry!We have provided a tool for you to check if there are any devices available on your machine.Execute the command: sudo biometric-device-discover.If a supported device is detected, there will be a prompt! Wait for the official version of the Ubuntukylin18.10 to be released! Previous：Ubuntu Kylin 16.04.6 LTS version released! Next：Ubuntu Kylin 18.10 Final Now Available for Download!